Situated on 3+ ac. 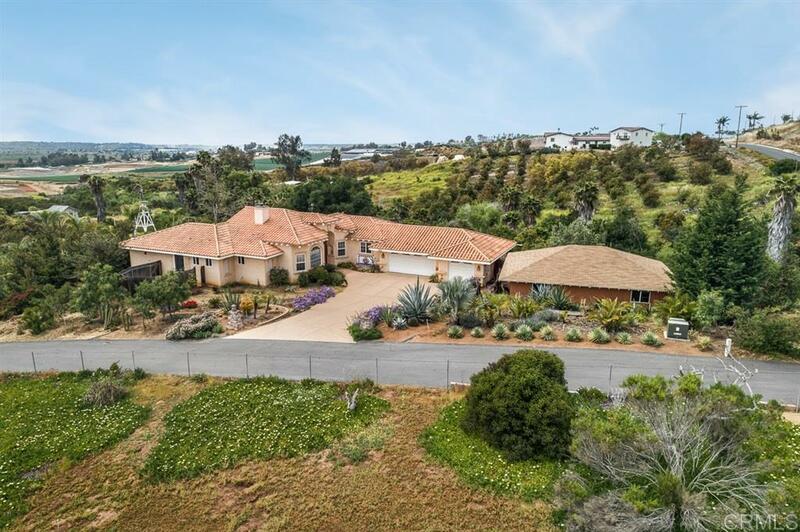 in the gently rolling hills of NE Oceanside, this spotless single level custom home offers peaceful country living. Constructed w/quality materials & attention to detail, it features a secluded master suite, large picture windows placed for enjoyment of expansive open views, custom wood & tile work. Easy access to Hwy. 76 & College Ave. Ideal for large family/extended family w/separate large barn w/elec. & water. 3 car garage w/ full bath and plumbing for kitchen.